Paragon Point is a neighborhood located in Southeast Fort Collins. Paragon Point is a higher-end southeast neighborhood with a lot of great amenities including a fabulous swimming pool, tennis courts, bike trails, lots of open space and greenbelt areas, ponds and also includes a park for the kids. A lot of the homes in this neighborhood are right on Southridge Golf Course as well, giving you a great view. This neighborhood is great for families and active adults alike. There are also maintenance free patio homes that include 2 bedrooms, 2 baths, 2 car garages and some have garden-level or walk-out basements. These patio homes are great options for retirees wanting all of their living space on one level and not have to do any yard work or home maintenance. It makes it pretty nice allowing you a lot more free time to do the things you really love. Active adults will enjoy all the great bike trails and paved paths around the neighborhood so you can take a walk. 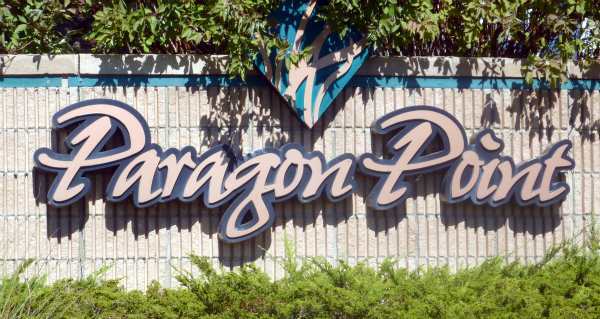 Paragon Point is located south of Southridge Golf Course, east off Lemay Avenue, making it very easy to play a round of golf in the morning or afternoon and enjoy the outdoors and the Front Range mountains. It is all centrally located with easy access to Old Town and I-25 enabling an easy commute to southern Colorado including cities such as Longmont, Boulder and Denver and beyond. Currently, there are three homes available for sale in Paragon Point ranging in price from $395,000 to $795,000. Paragon Point homes for sale are ranging in size from 4 bedroom 4 baths to 5 bedroom 4 baths. 3500 sq ft to 6500 sq ft, so these are definitely some of the largest homes in Southeast Fort Collins for sale.